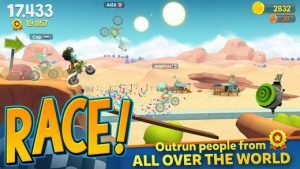 Outrun players around the world in quick 4-player races, massive 100-player Tournaments, or take a break and relax by collecting treasures from casual 1-player adventure tracks. Create and share your own levels, upgrade your rides, and customize your characters with the swaggiest hats in the galaxy. Team up, climb the leaderboards and win glorious prices!